The influence of this movement is increasing within evangelicalism, and I believe many people are in the dark about it. The subject is important also because we tend to view Scripture through the lens of the Reformation instead of the other way round. Although the Reformers got the gospel right, their successors have sometimes appealed to them and not the Bible. At least the New Perspective on Paul (NPP), whatever its merits or demerits, has directed us back to the Bible again. "Any conversation on what is often called 'Lordship salvation' hinges on definitions." 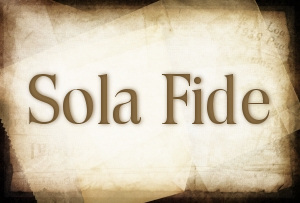 What is the fuss about Lordship salvation? Read more about "Any conversation on what is often called 'Lordship salvation' hinges on definitions." CHAPTER VI. 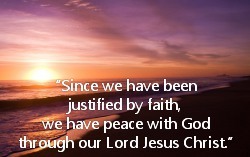 JUSTIFICATION BY FAITH. BY H. C. G. MOULE, D. D., BISHOP OF DURHAM, ENGLAND. “Justification by Faith”; the phrase is weighty alike with Scripture and with history. In Holy Scripture it is the main theme of two great dogmatic epistles, Romans and Galatians. In Christian history it was the potent watchword of the Reformation movement in its aspect as a vast spiritual upheaval of the church. It is not by any means the only great truth considered in the two epistles; we should woefully misread them if we allowed their message about Justification by Faith to obscure their message about the Holy Ghost, and the strong relation between the two messages. It was not the only great truth which moved and animated the spiritual leaders of the Reformation. Nevertheless, such is the depth and dignity of this truth, and so central in some respects is its reference to other truths of our salvation, that we may fairly say that it was the message of St. Paul, and the truth that lay at the heart of the distinctive messages of the non-Pauline epistles too, and that it was the truth of the great Reformation of the Western church. Goodbye TULIP, hello ... PROOF? Read more about Goodbye TULIP, hello ... PROOF? “I am also saying to those who, like me, have asked Jesus into their hearts thousands of times, that they can ‘stop asking Jesus into their heart’ and start resting in the finished work of Christ. Read more about Should We Stop Asking Jesus Into Our Hearts? Reprinted with permission from Paraklesis, Spring 2007. Three times, Mark records Jesus’ predictions of His coming passion (Mark 8:31; 9:31; 10:33-34). In His explanation of the third of those prophecies, Jesus tells His followers that He is going to give His life as a ransom (λύτρον): “the Son of Man did not come to be served, but to serve, and to give his life as a ransom for many” (Mark 10:45). The concept of a ransom doesn’t connect with western culture in the 21st century. The only common use of that word today is in reference to kidnapping—usually by terrorists. But this was a very common word in the first century Greco-Roman world. Although it is used only twice in the New Testament, this word aroused immediate associations in the minds of those who read Mark’s gospel. It comes from the culture of slavery: sacral manumission, the ceremony by which a slave is set free.1 In the case of a polytheistic Greco-Roman,2 the slave owner takes the slave being freed to the temple of his god and sells the slave to the god. He is reimbursed for the slave from the pagan temple treasury. 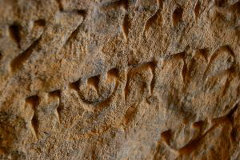 The ceremony takes place in the presence of witnesses, and the manumission record is often recorded in stone—typically on the temple wall or pillar. This transaction is somewhat of a legal fiction, because it is not really temple money that is involved. Rather the slave himself (or his family or friends) have previously paid the specified amount into the temple treasury. 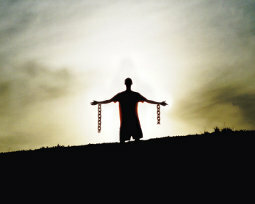 Once the slave owner received the money, the slave became the property of the god. Ownership has been transferred. He does not become a slave of the temple, however, but a protégé of the god. In respect to his former owner, he is now a free man.